Delfu prefilled plastic insulin pen used for prefilled 3ml cartridge applied low cost medical injections. Offers consistent, accurate and convenient dosage delivery, preferred by diabetes patients for frequent and precise insulin injections. Dosage adjustable, a maximum of 60 units with accurate dosing from 1 to 60 units. Clear dose display scale for easy identification of dosage. A light touch to deliver the insulin at all insulin doses. The dose scale automatically returns to zero after injection. Cartridge replaceable, remove cartridge frame to load new cartridge easily. Easy and simple needle attachment just by a twist. Designed according to the ergonomic theories with elegant appearance. Driven by special high performance precision mechanism spiral injection system, Delfu manual plastic pen has an easy touch button, requires a light touch to deliver the insulin at all insulin dose. Dose setting mechanism permits dose corrections without loss of insulin, provides doses in 1 unit increments up to 72 units per injection. 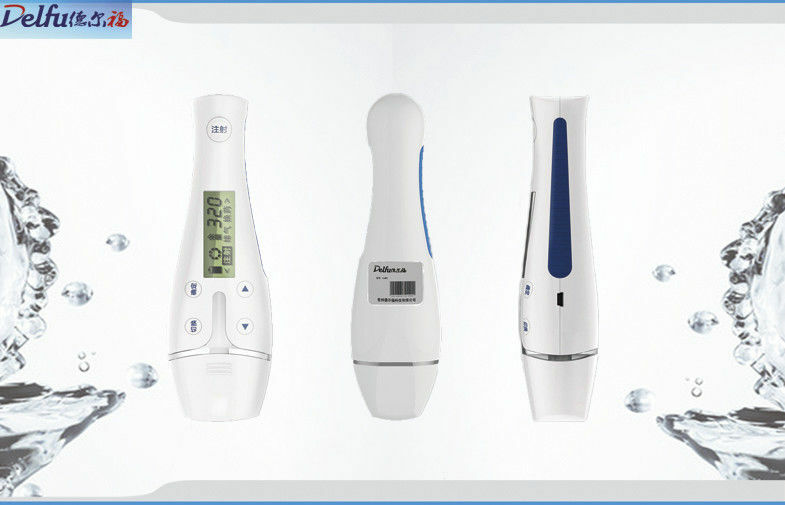 It is a prefilled insulin delivery device, Push button and 1 click confirming that you have delivered full dose you set. The dose scale automatically returns to zero after injection to allow visual confirmation of dose delivery. Using quality plastic material for pen body and inner parts makes durable product quality life. It is one of most reliable and cost down insulin pen in the world. Easy to use, simply twist the dose, insert the needle and push button. Highly accurate dosage, 1 unit increment with a mechanical system. High quality metal construction makes it reliable life. Insulin Cartridge and disposable needles Compatibility with market popular manufacture.